“But before you can successfully apply color theory to interior design, you have to understand how it works,” says Pollak. When coming up with a room’s color palette, Pollak takes three important things into consideration: her clients’ personal preferences, their lifestyle (how they intend to use the space) and the room’s physical structure (lighting and architectural details). 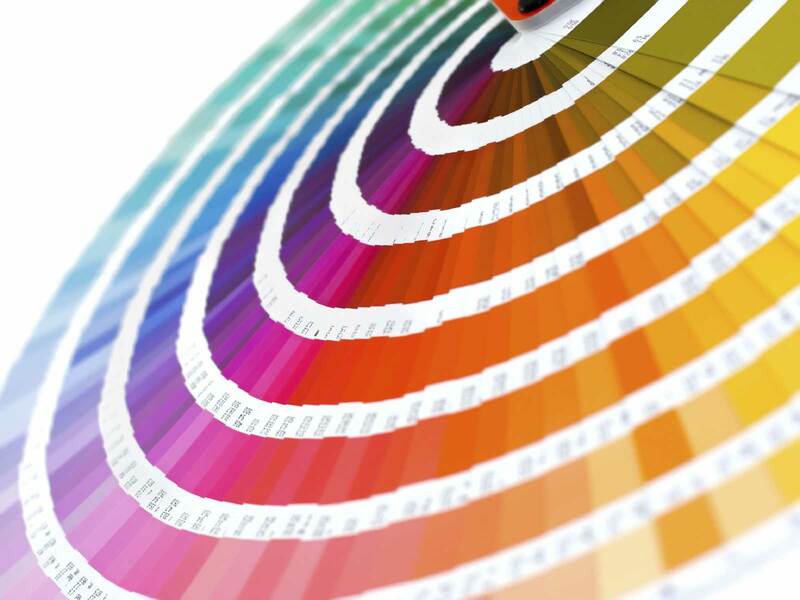 With this information, Pollak can determine which colors and color scheme will best match her clients’ objectives. “There are just some color schemes that work better than others,” Pollak says. “Like if I walk into a country farmhouse kitchen, I automatically think of a monochromatic or analogous color scheme of creamy pale yellows or deep rich reds.” Conversely, a kitchen in a contemporary or modern house might be best served by bold, bright colors used in a complementary or triadic color scheme. If her clients are looking to achieve a feeling of peace and tranquility, Pollak immediately considers a monochromatic or analogous color palette. “Think about the color scheme of a Hawaiian island and how restful it makes you feel,” she says. “The lush green hills, the blue ocean water and the pale blue sky — that is a classic analogous color scheme.” Bathrooms and spa rooms are ideal places to take color cues from nature, she adds. Pollak cautions against injecting too much of a bright color in any room. “It is extremely important to balance colors with a lot of energy, because what might seem fun and exciting can become exhausting over time,” she warns. This is where the beauty of a complementary color scheme really shines. Because the colors are opposite each other on the color wheel, these color combinations always balance a warm hue with a cool hue. As an interior designer who specializes in what she calls “integrative lifestyle design,” DeAnna Radaj, ASID, uses feng shui and color to achieve harmony and balance in one’s home environment. “The kitchen is considered a fire room and the bathroom is a water room,” says Radaj. But that doesn’t mean she recommends painting every wall in your kitchen red or every square inch of your bathroom blue. As in life, balance is key. “Too much of one color can create a numbing, exhausting effect on you and your family,” notes Radaj. Radaj suggests following a color principle commonly referred to as the “60-30-10 rule.” For example, 60 percent of a bathroom or kitchen, typically the walls, should be one color of a color scheme. The color of the cabinetry and/or furniture accounts for the 30-percent figure. And accents and accessories such as plants, artwork and linens make up the remaining 10 percent. This entry was posted in DIY Projects for Home and tagged 60-30-10 rule, DE, Delaware, DIY Network.com, Douglas Trattner, Formula for Success, handyman, home design, interior design, Michelle Pollak, paint, Painting, pantone, The Lollipop Tree, Theory in Practice, traditional rules of color theory, Wilmington. Bookmark the permalink.